Last year, I joined a tour, organised by Lizzy Lukeman from the alumni office, to learn more about the University of Otago. 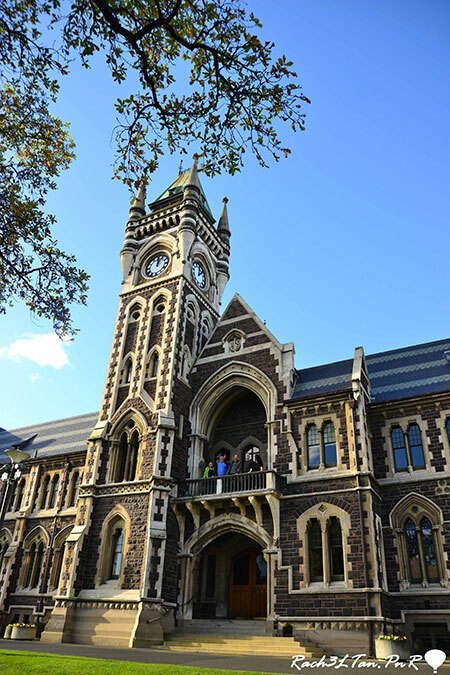 The tour started with a little history of the university, which was the first university in New Zealand. 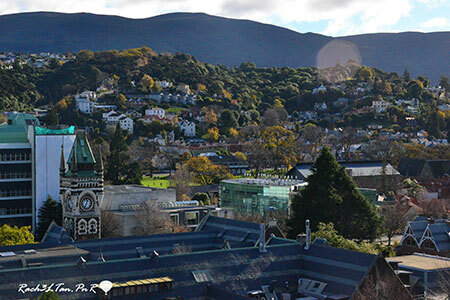 The University of Otago was founded in 1869 and started with three professors and 81 students. The university has since grown, whereby today, it has more than 22,000 students, 1,500 academic and research staff and 2,000 general staff. From the tour, I learnt about the various facilities and interesting architectural design and enjoyed a different perspective on the campus. 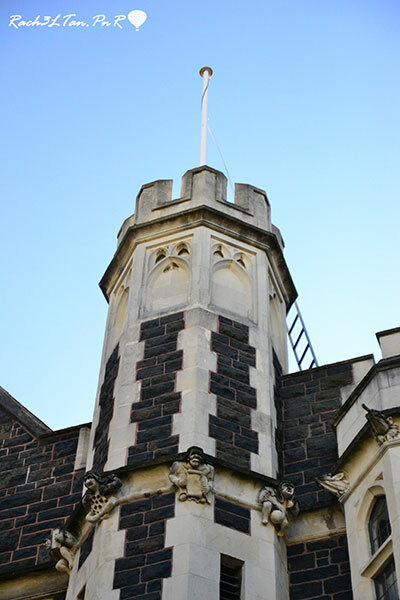 The Otago University Student Association (OUSA). 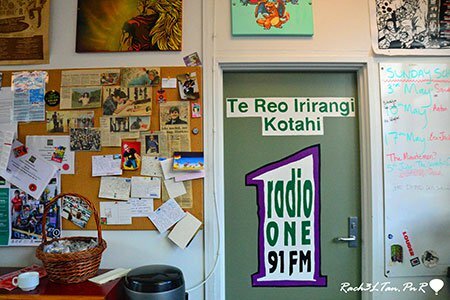 The first highlight was the getting to know the university’s student association, the Otago University Student Association (OUSA). It represents the voice of students in the university and provides different services to enhance student’s life at the campus. Lizzy showed us to the radio station and the office of the student magazine, Critic, managed by OUSA. Then, we went to the OUSA’s building that serves $3 hot lunch during the academic year. The building also houses students’ recreational activities such as classes for yoga, dancing, cooking and a sauna room. The next highlight is the interesting architectural design, particularly the university’s iconic Clocktower. The Clocktower is the main administration building that overlooks the Leith River. Beside the main entrance of the Clocktower is a boot scraper hole. The hole was used in the early days to scrape off the mud from the river banks. 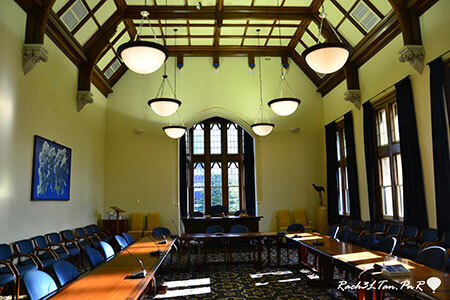 At the Clocktower, we visited the grand-looking Council Chamber. Another interesting building is the Archway near the Clocktower. There are two figures seated above the Archway, one with a globe to represent Humanities and another with numeracy paper to represent Sciences. Then, beyond these figures, there are smaller gargoyles circling the two main pillars, each representing the different departments of the university. We also stopped by the Allen Hall, a theatre occupied by Music and Theatre Studies. The theatre looks old but well-kept. Sometimes, there are theatrical performances to enjoy for a small entrance fee. 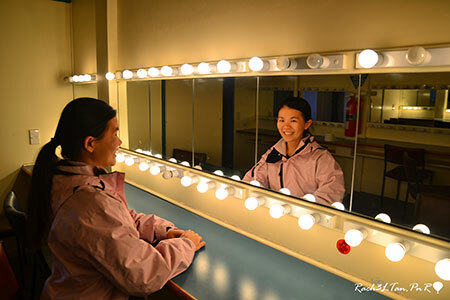 It was great fun to visit the stage and make-up room. My final highlight was getting a bird’s-eye view of the campus. Lizzy led the group to the University College, situated at the heart of the campus. With over 500 residents, the college is the largest residential college. We went to the top of the college and had a magnificent 360-degree view of the campus. Even though I see the university every day, this tour made me felt like a tourist by listening to the interesting stories and enjoying the different scenery. It was an interesting way to know the university better.